Never went more than a few houses down. Had a pink collar and tag on. 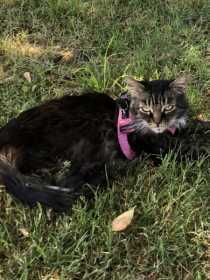 Maine Coonish brown with Black tips medium length hair and white splas on her face. Friendly.